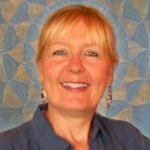 Hello – I am Dr. Anne Merkel, and since I was a young girl I have felt a drive to compassionately support others. My own philosophy is that “Nobody Needs to Suffer!”, and I totally believe the famous J.D. Palmer quote: “The Power that Made the Body Can Heal the Body“! My Passion is to help people understand that they can heal and claim optimal health as well as meet their full potential naturally… if they are willing to make some changes. I work with clients who have not had success with other practitioners, and we go deeper to clear the childhood, infancy, mom’s pregnancy, genetic, and even soul blocks and restrictions so that each individual can thrive on all levels! siti sicuri per comprare viagra generico pagamento online a Verona Mountain Wellness Retreats . I am constantly updating my knowledge base with on-going studies in Genetics, Energy Medicine, Dementia & Alzheimer’s research, Autoimmune research, and more. As a Certified Natural Health Professional my clients benefit as I incorporate what I learn into my practice. My books on Amazon support anyone interested in applying energy medicine to natural health practices in their lives or practices. http://cinziamazzamakeup.com/?x=quanto-costa-Viagra-generico-50-mg-online-a-Venezia Learn more. .
My years in Corporate America and Certifications as Success & Wellness Coach and Success Business Coach allow me to support clients who come to me with issues regarding business, organizational health, professional wellness, and success. I like to guide clients and other wellness practitioners to clear blocks to accessing a state of Pure Potentiality so that everything is possible to them. As a Coach I guide my clients to the next level in their relationships, health, wealth, and basic joy factor. I have published three books on the fundamentals of coaching including the follow link Transformative Coaching Guidebook for EFT & Energy Therapy Practitioners: Creating a Practice Curriculum, 2015. In my “past life” I was an Adjunct Professor where I taught at twenty colleges & universities including in four MBA programs, and I served as a top Manager and Corporate Trainer with clients in over 120 countries world-wide. I also served on multiple civic Boards and Commissions, and was President of a Chamber of Commerce. All of this experience helped me to become who I am today! For more information you may access my professional Curriculum Vitae by going http://cinziamazzamakeup.com/?x=cialis-generico-en-mexico here.